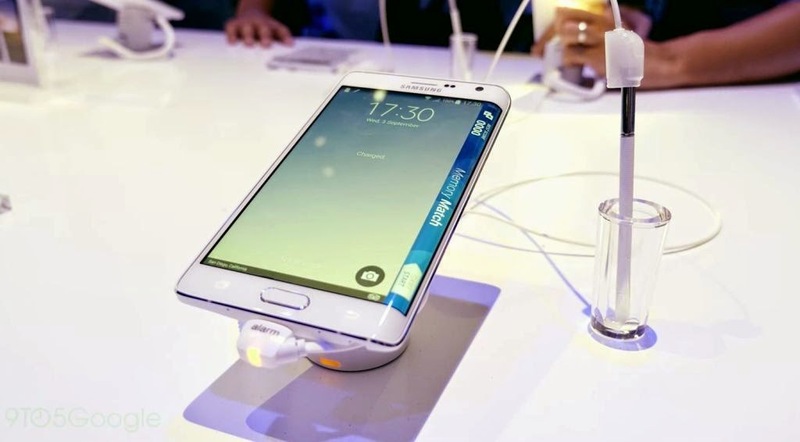 All rumors and assumptions surfacing Note 4 came to an end after the company’s CEO – J.K. Shin – unveiled the brand new Samsung Galaxy Note 4 to the world. The phablet made its debut in the second week of September, at this year’s IFA Berlin – one of the world's leading and oldest trade shows dedicated to consumer electronics and home appliances. 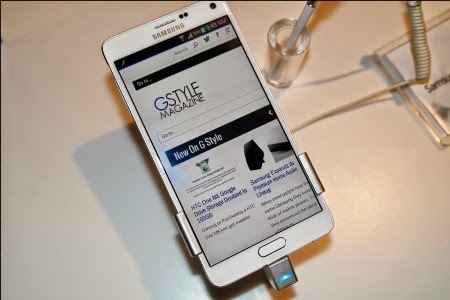 The South Korean tech giant surprised the whole world, yet again, by launching not only one but two variants of this new phablet – the Galaxy Note 4, and Galaxy Note 4 Edge. This write-up provides a detailed account of the Note 4, while the Note 4 Edge will be covered in the next post. Embellished with a thin and sleek metal band on the edges, the Note 4 is available in two color options – black and white. The black color variant of Note 4 has an elegant matt finish, while the white one has a glossy finish. The textured leather back bundled with the phone provides great grip and appears to be highly durable. However, the phone is not resistant to dust and water, which is kind of a let-down. Nevertheless, if you are specifically looking for dust and water proof phones, then you have the option of the much admired Galaxy S5. Speculations about the display were right. The Note 4 has a 5.7 Inch Super AMOLED Display that supports quad HD resolution of 1440x2560 pixels that offers bright and rich display, even under sunlight. The phone is powered by a Snapdragon 805 Quad-core Krait 450 processor clocked at 2.7 GHz, which facilitates seamless processing and application performance. The Note 4 comes with a 3GB RAM which should be decent for all popular apps. The internal storage, however, is a bit disappointing. Samsung has kept it simple and limited to only 32GB inbuilt storage option, but on the up side, the phone has a Micro SD expansion slot. The Note 4 comes with an all new S-Pen that now supports high-level pressure sensitivity. The pen has replaceable tips, available in two options – rubber and plastic. The former can be used for gaming and multi-media operations, while the latter one facilitates writing. The Note 4 comes with a 16MP rear camera which was only 13MP in case of Note3. Keeping in mind the latest trend of clicking selfies, experts at Samsung have modified the pixels of it front camera. Hence Front camera is of 3.7MP with f/1.9 aperture that enables it to click bright photos even in dim light. However, contrary to the speculations about the Note 4 sporting a dual LED flesh, the final release has a single LED system. The device comes preloaded with latest version of Android i.e. v4.4.4 KitKat, and has numerous unique features such as ‘Multi Window’. The phone looks promising but apparently we will have to wait for user reviews from well-known tech gurus before we actually have a hand-on experience.